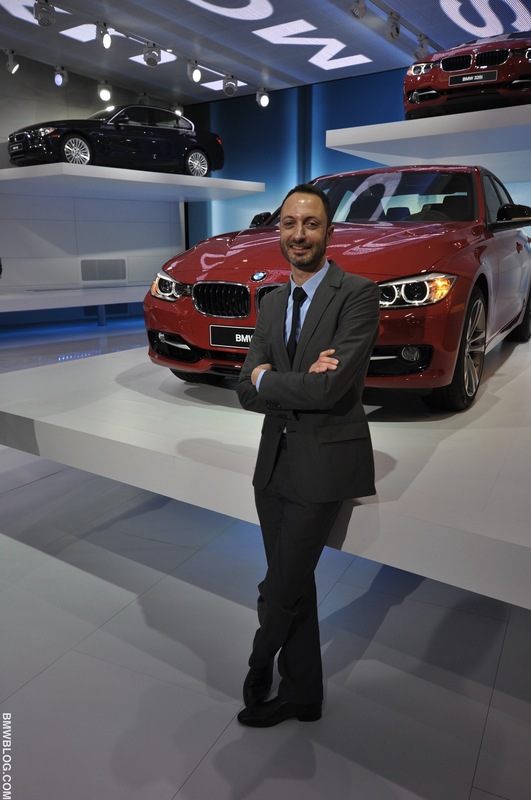 At the recent Detroit Auto Show, BMWBLOG had the opportunity to interview Karim Habib, BMW’s Head of Exterior Designer. The 40-year old designer has been known as the creator of the new BMW 7 Series and CS Concept exterior design. On completing his design studies in California, Karim Habib held various posts in interior and exterior design before being appointed Team Leader, Advanced Design for the BMW Group. After a short stint at Mercedes-Benz, Habib returned as the head of the Exterior Design BMW Automobiles department. BMWBLOG: Which BMW product that you’ve worked on are you most proud of? Karim Habib: It’s always very difficult for me to point one out because the focus shifts, but I would say the new F30 3 Series. Even as a designer, when you know the car for years and then you see the car on the road for the first time, there are still elements that you discover right then. I’m still discovering it and feel more and more impressed about the 3 Series when you see the car on the street, so it’s probably one of the cars I like best. BMWBLOG: When it comes to the new 3 Series, can you tell us about the overall design and what BMW has done with the new F30 3 Series? Karim Habib: Generally, the 3 Series is obviously a very important car. The car has always been the leader in its category – so when we approach a car like that, we pay very close attention to the fact that we want to and we strive to still be the best. This car is a bit longer and a bit wider than the previous generation, and proportion-wise, I think we took a pretty good car and made it a little better. In terms of the design language we liked to play as well with sportiness and elegance. One major thing about the new 3 Series is the new front fascia – it’s the first time we’re introducing the headlights that connect to the kidneys. I believe we managed to do something that looks sportier – you have a directing graphic from one side to the other, which makes the car wider. You can see more chrome and have the feeling that the kidneys have a 3D effect, a sculpted one; we tried to make the car look more elegant, more luxurious. 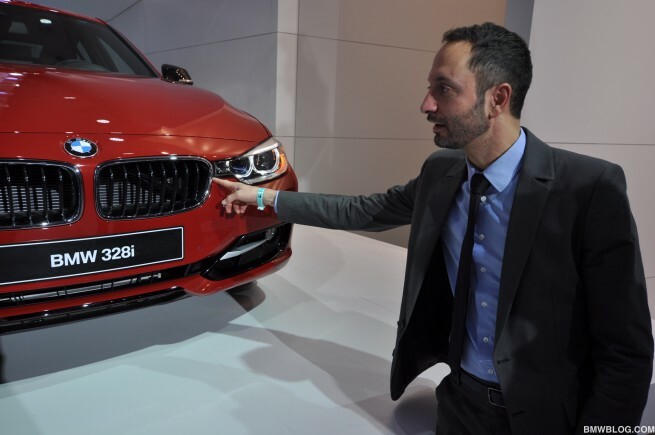 BMWBLOG: Speaking of the front fascia – we know about the air curtain technology, which contributes towards a drag coefficient of 0.26. What else have you done to improve the aerodynamics? Karim Habib: Generally the aerodynamics is very important to us and we’re trying to do every little thing we can to improve it, to make more efficient aerodynamics. We have the air curtains and even little details, like the way mirrors have been optimized and even the little things like an edge in front of the front wheel, going from the headlight all the way to the bottom. We used this as a design theme because for aerodynamics we usually need a very clean surface in front of the front wheel, so that when the air goes from the front to the side, it shouldn’t shoot off and create an empty pocket of air – so this edge will be like a bigger surface. By doing this, we find a way to accelerate the air around the corner so that it sticks to the side of the car, to the body of the car. This is the first time we do something like that. We started ideas like that on the F12, where it has as well a little edge in front of it. We try to make sure that design and aerodynamics work together from the start. 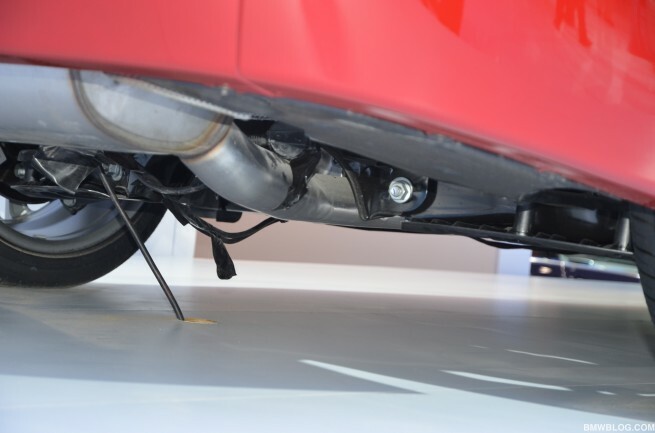 BMWBLOG: The underbody is quite flat as well. Karim Habib: The aerodynamics has to do with everything, not just with the underbody, but also with the width of the tire, for example. To find out these details, we also do aerodynamic tests at different phases, in the wind tunnel. We send designers to the wind tunnel where they spend time trying different things out and then seeing if they work or not. BMWBLOG: In terms of limitations to design, crash safety standards or the use of metals and materials you are working with, what would you say were the main challenges in designing the new 3 Series and how did you overcome them? Karim Habib: In terms of pedestrian safety, you can notice the contour of the hood: for the first time it is created an acceleration around the beginning of the front wheel – the hood is flat, and then it accelerates down. That is something that actually came from pedestrian safety because sometime pedestrian safety is measured in certain ways that might be a little abstract. This is how we found a way to fulfill that legislation by having that slight acceleration by the front wheel. I personally like that sort of one-two rhythm in the hood; it creates a lot of character to the car, in my opinion. BMWBLOG: Taking into account the CS Concept that you designed and moving forward to the 6 Series Grand Coupe – did you have a starting basis for the new 4-door Coupe or was it a totally different approach? Karim Habib: If we consider the CS Concept, obviously this was the first time we thought about what could be a 4-door coupe for BMW, and we did our best to put that into production – but it didn’t happen in the end. The concept Gran Coupe came, and after that the 6 Series, and the Gran Coupe itself came into production. So yes, it is based on that idea, but we’re not the first on the market to bring this idea. I think the new Gran Coupe is the most elegant, and in terms of performance I’ve heard that we’re doing very well. BMWBLOG: The interiors of BMWs have been very bespoke. Do you have communication with the interior designers as well, in terms of the overall feel of the vehicle and the way that it looks? Karim Habib: Yes, sure. Actually my first work at BMW was interior design. I come from there as well, and we have to communicate with each other because we’re offering a product where the customer lives in the interior and the exterior. Marc Girard has his office next to mine and we definitely talk about this quite often. We also have workshops for the new projects we do – and we talk with the team and just try to be creative as one – we want this one principle, the spirit of the one car to be interior and the exterior. BMWBLOG: For the future, do you see a synergy between the BMW i sub-brand design and the BMW cars? Karim Habib: We wouldn’t have created a separate brand if we wanted it to come together, but synergy…that depends on how you define it. But obviously there will be certain things that overlap, but it’s very important to us that the BMW i sub-brand keeps its own identity, because it should also communicate the different set of values than the M cars do, for example. These are different worlds, very BMW, but with a different view of the future. But they should have their own individual characteristics. BMWBLOG: With the current line-up of vehicles, the design teams were brought together and made very consistent across the line-up. How would you say that the BMW is positioning itself to really separate, individual products, when the overall design is very similar? Karim Habib: That is definitely something we’re working on. You are right, there is a family look on all the vehicles, and I think that is pretty important to us. It’s important that when you see a BMW – any BMW – that it feels like a BMW. But we’re also very conscious of the fact that every model has to have its own character – we often say “one family, but different characters for each vehicle”, and that is something we’re trying to achieve with every car. You can see for example that now with the F30 we’re creating a different fascia for the 3 Series, with respect to an F10 – the 5 Series. And we will keep being very consequent about that in the future: same family, but a different character. BMWBLOG: We know that halfway through the life of a BMW vehicle, it gets a life cycle impulse as it’s called internally, or an overall refresh. At what point in time is that design actually completed? Is that thrown-on very early on, or is it literally half-way through its life-cycle? Karim Habib: Half-way, literally. This is what we do. We don’t start a new model with the idea ‘oh, then we should keep that for the life-cycle impulse’, and so on. Because a lot of it depends on how close you are to the market. We often do these facelifts as well to bring something new from a technological standpoint. Changes to headlights and taillights have to be brought in as well. But we evolve also esthetically – the world evolves, and we always want to be at the crest of that wave. 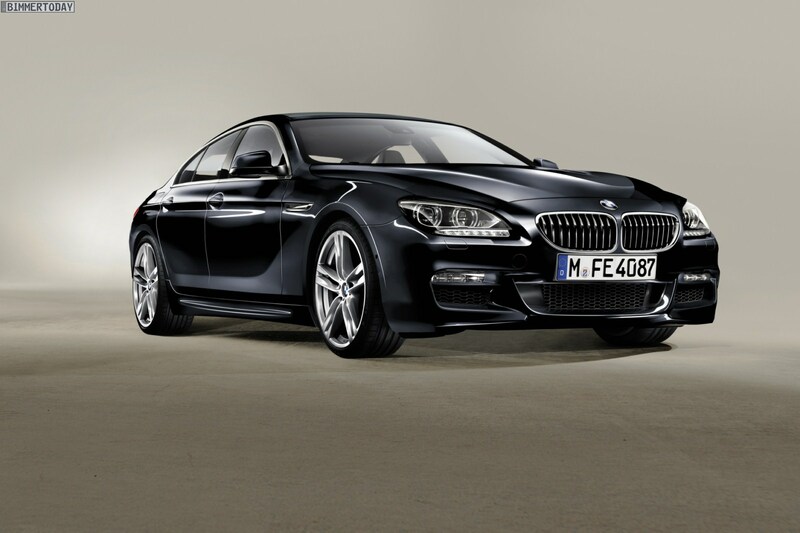 BMWBLOG: Is it usual for the same designer to work on the facelift also? Or it could be anybody in the team? Karim Habib: Sometime it is, most of the time it’s not. We’re trying to open the process up for the rest of the team as well. BMWBLOG: Tell us more about yourself and your personality and tastes and characteristics that influence the car design. What are your preferences, different types of art that you draw inspiration from, or industrial design? Is there anything that you really look to when you need some inspiration to pen a car? Karim Habib: It’s very hard for me to pinpoint exactly. My beliefs have a lot to do with authenticity, and I think that is what inspires me the most. I look in different fields and I look a lot into architecture and product design, but what really inspire me are things that have a thinking behind, like when designers think not just how things look, but how they are produced, the kind of materials they’re using, who uses them, how they use them, which context they’re in. And it’s always fascinating how you get different and innovative answers from people. Recently I’ve seen the movie ‘Objectified’ – Chris Bangle is in there, and there are some designers in there who are not designing products, but designing something almost like cultural experiences, and I think that’s the fascinating thing. For me it’s the sort of the abstract behind the object. When you design a new car, I think what makes a really good car design is when it brings something to an already pretty mature market. And I think that in general BMW is quite good about that. We have never brought a car that has already been there or hasn’t brought anything to the world of cars, to customers. It really brings something new, and I think that’s the most enriching and inspiring thing, whether it’s architecture art, car design, fashion, etc. BMWBLOG: How do you see the future of BMW design, in terms of technical details? Karim Habib: I definitely think we’ll be evolving quite a bit in the future. I think it’s important, the world is changing and we have to be right there, we have to be the leaders in terms of how things look. What is fascinating for me – and I think you’ll see this year, as we’ll have a few things at different shows – is that BMW is expanding what it stands for, what it means. I think that design-wise we’ve got a few good answers coming that way. For me – going back to authenticity – the most personal thing is that I want us to experiment and push as much as possible in terms of how authentic the design is, as materials. BMW i is working a lot with carbon fiber, for the core products some of that will trickle into those products, and how we’re going to make all that into the form language of our next vehicles will be really fascinating. BMWBLOG: Going in the other direction, if you wanted a joyride in one classic BMW car, what would you pick? Karim Habib: I would love to drive the E30 M3, as hard as I can. And to me it’s almost a cliché, but the 3.0 CS is quite fantastic, also looking more into how materials are used, with the chrome all around. These are things that could give us a bit of an insight on the future. BMWBLOG: Karim, thank you very much for your time!